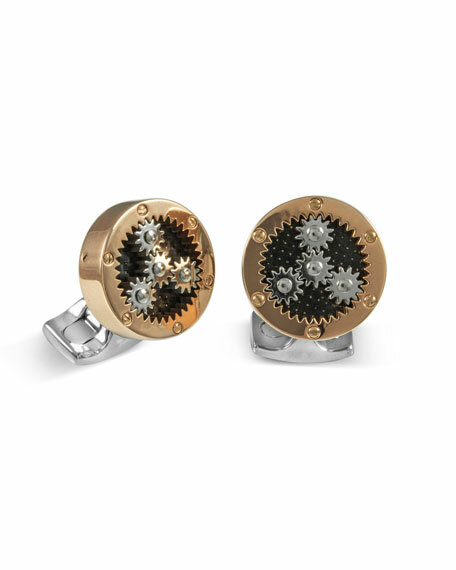 Deakin & Francis cuff links featuring wire-cut planetary gears that rotate without friction. Rose golden-plated outer with white rhodium-plated cogs. Carbon fiber whale back closure. For in-store inquiries, use sku #1996986.